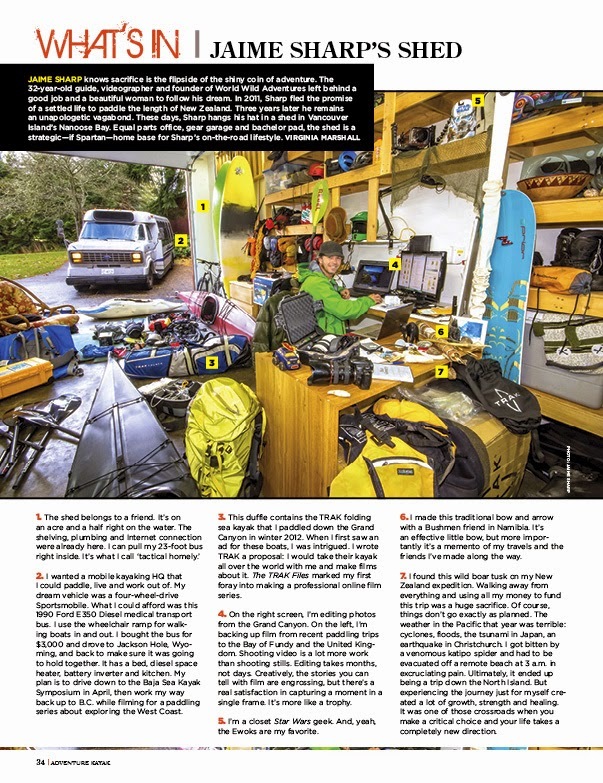 This spring I got Asked by Virginia Marshal (editor of Adventure Kayak Mag) if she could do a feature on my life living simple in order to paddle more, and here is the result. I also had a number of other photos published from adventures over the years and from the Bay of Fundy Symposium last Fall (Bay Of Fundy Blog Here). Enjoy. 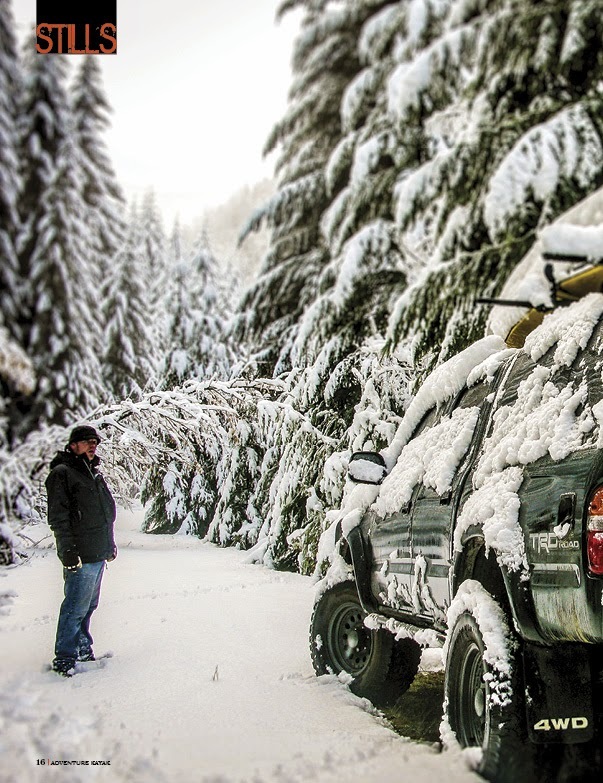 Also thanks to TRAK Kayaks (featured in the main image) for helping my life be lived the way it is. 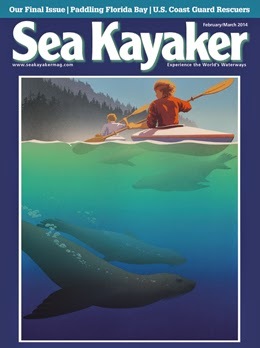 Sea Kayaker Magazines Last Issue and my Only Appearance in the Magazine. It is sad for things to come to an end, especially things that helped define a culture. I am pleased got one appearance in the legendary Sea Kayaker Magazine before it disappeared, with the publication of a Pygmy Kayaks full page advert. This Photo Also featured on the Cover of Ocean Paddler Magazine (UK) #39 in December; Link. 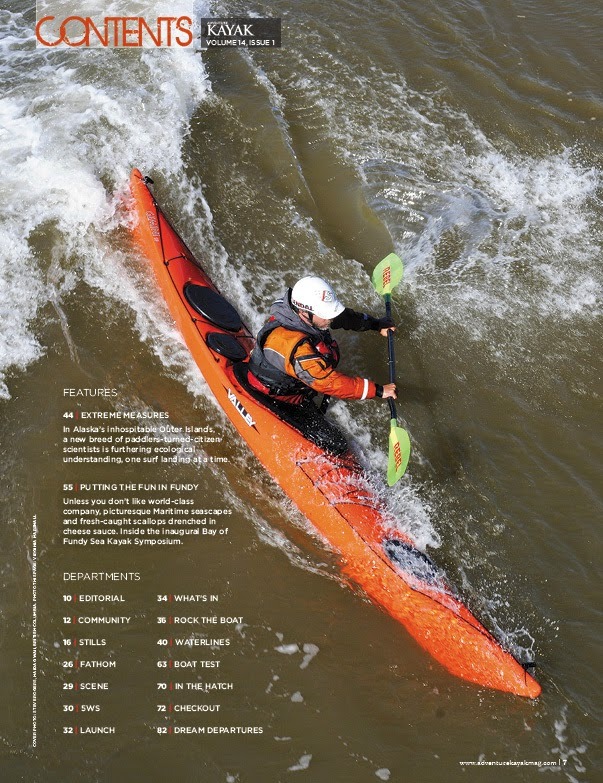 Sea Kayaker Magazine Writes in there blog for the last time. "For nearly 30 years, Sea Kayaker magazine has been an exemplary cornerstone of the sea kayaking community and a defining influence for the standards of our sport. We’ve been pleased and proud to share 157 issues with the kayaking community, but now we must announce with great regret and sadness that this Issue of Sea Kayaker magazine will be our last. 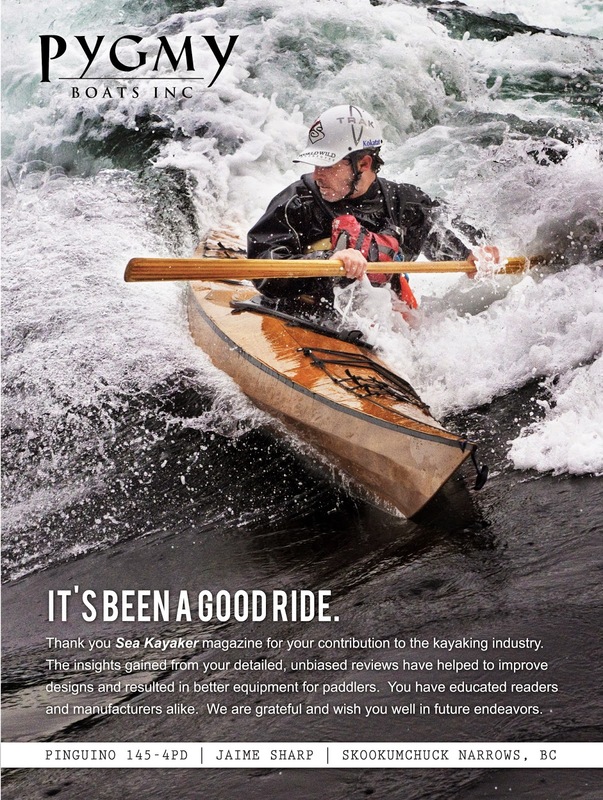 In the course of our many years of service to kayakers around the world, we’ve seen many changes in sea kayaking, the industry it supports, and the business of print and web media. For our first two decades the changes generally worked in our favor, but over this past decade, the tide slowly turned. Though the magazine and the website continue to draw nearly universal praise from our readers, we recently recognized that we’ve been paddling against an overwhelming current and it’s time to come ashore. And so, we’re celebrating the final chapter of the Sea Kayaker legacy with our special 158th issue, the February 2014. TO OUR SUBSCRIBERS – It is difficult to bring an end to a publication supported by subscriptions. For many of our loyal readers, this last issue will be shy of the number of issues they expect to receive. 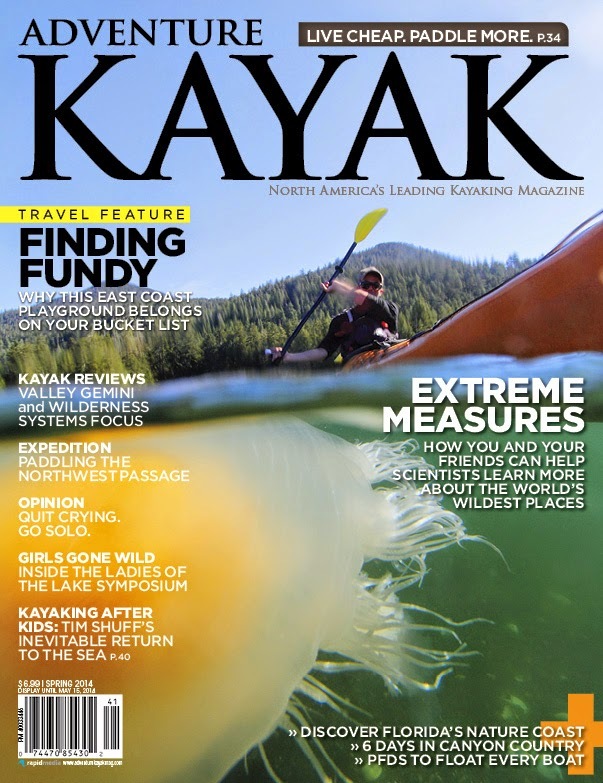 We have been working with Rapid Media (www.adventurekayakmag.com) and have arranged for our incomplete subscriptions to be fulfilled by Adventure Kayak, a magazine devoted to sea kayak touring. 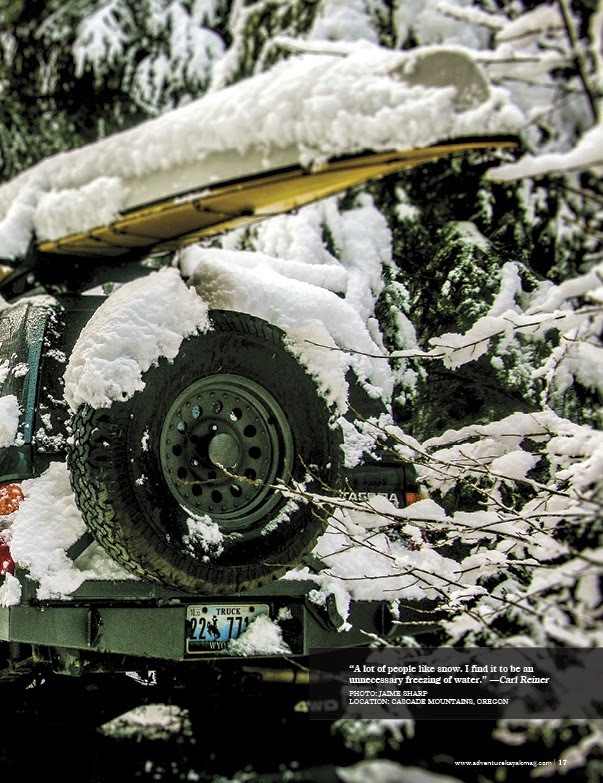 Our subscribers will receive an issue of Adventure Kayak for every issue remaining on their subscription. We encourage you to give the magazine a try. 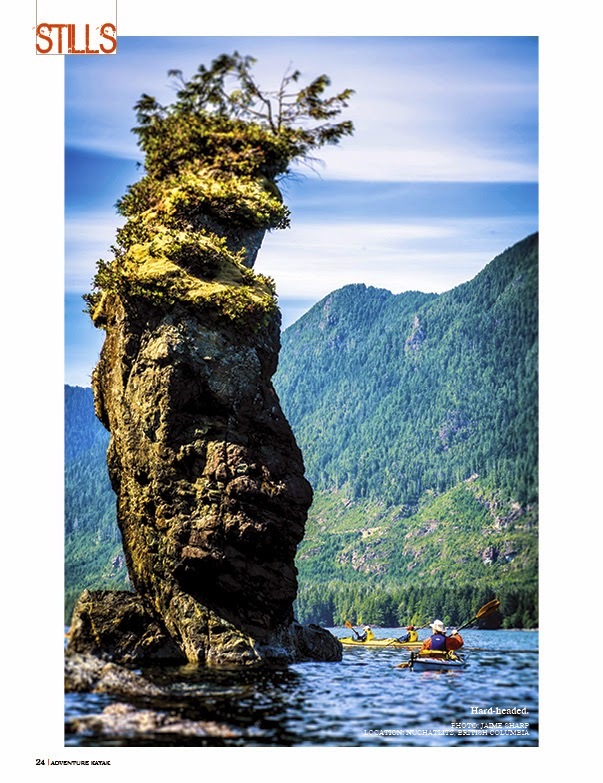 Rapid’s founder and publisher, Scott MacGregor, has graciously invited Sea Kayaker magazine’s editor Chris Cunningham to contribute to Adventure Kayak and he’s look forward to adding a touch of Sea Kayaker and some of his views to the magazine."